It’s the season for presents and giving. Often it can be difficult to come up with original and trendy ideas. Well, don’t worry – we have you covered with this list of great gifts for all the women in your life. This round-up of Christmas gift ideas range from feminine to bold – all thoughtful gifts that should get a smile or two! 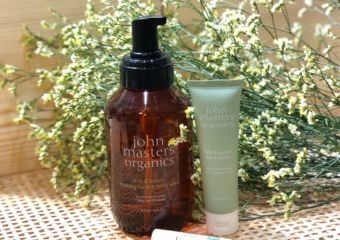 Treat your best friend or your mom to a daily hand care gift set from our favorite guilt-free brand John Masters Organics. The set includes Lime and Spruce Foaming Hand & Body Wash which that special girl can lather up in warm water, followed by some nourishing Lime and Spruce Hand Cream. This wholesome brand is made up of organic, cruelty-free and vegan ingredients, meaning users (and givers) are doing their part for mother nature. The beauty kit is priced at HKD $400. This Links London Snowflake is an adorable jewelry piece that would make anyone’s Christmas day truly special. 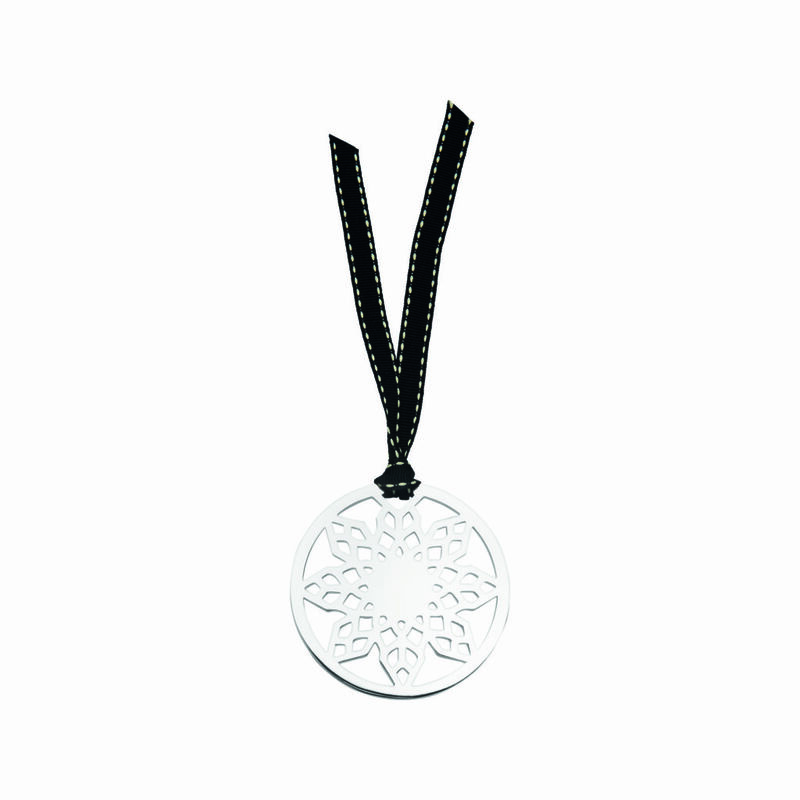 The precious piece is silver-plated with an intricate snowflake design. If you are visiting the store, they have created tailor-made postcards for you to write and put in their Links of London postbox to be delivered before Christmas. How’s that for bespoke delivery? The jewelry piece is priced approximately at HKD $498. 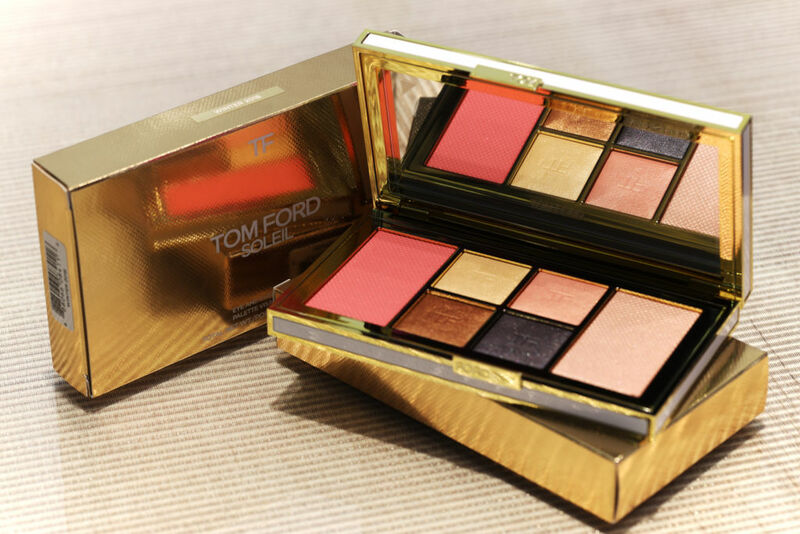 Tom Ford is a beauty brand with a long-standing history in the fashion world. The iconic designer launched a line of cosmetics and fragrances that continues to dominate the market. We adore the lush Tom Ford Holiday 2018 Soleil eye and cheek palate priced at MOP $1,320. The bold and beautiful shades are perfect for any party, either day or night. If you ask us, this is exactly what we want underneath our Christmas tree. This little gem is perfect for the active and eco-conscious woman in your life. We all know that plastic is way out of fashion, but with this German bottle brand VitaJuwel have made reusables extra special. 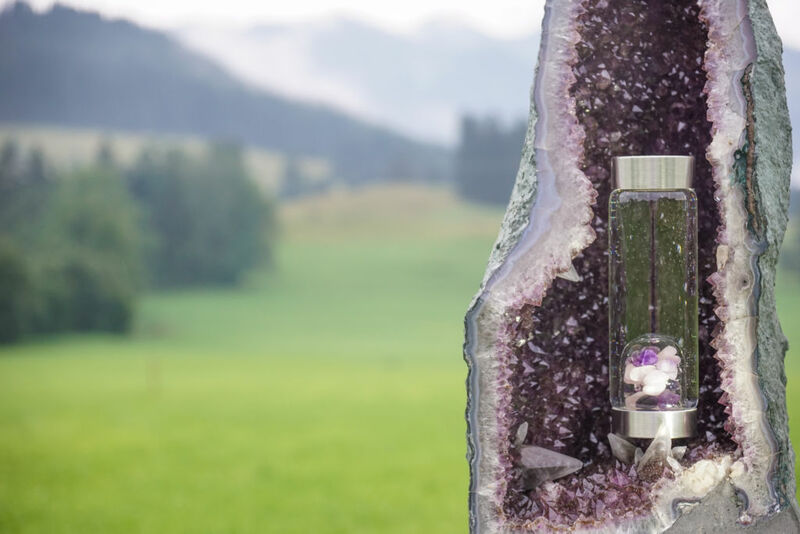 The patented design is handmade in the pure and high lands of the Austrian Alps, inspired by ancient Greek crystal healing. The bottle itself is transparent and lightweight, with handpicked semi-precious gemstones and a range of blends to suit the mood of the gift receiver and their interests and healing prowess. Approximately priced at HKD $800 to HKD $1,300. Everyone loves a new set of pajamas, perfect for early nights or lazy days in. It’s also a fail-proof gift for Christmas. 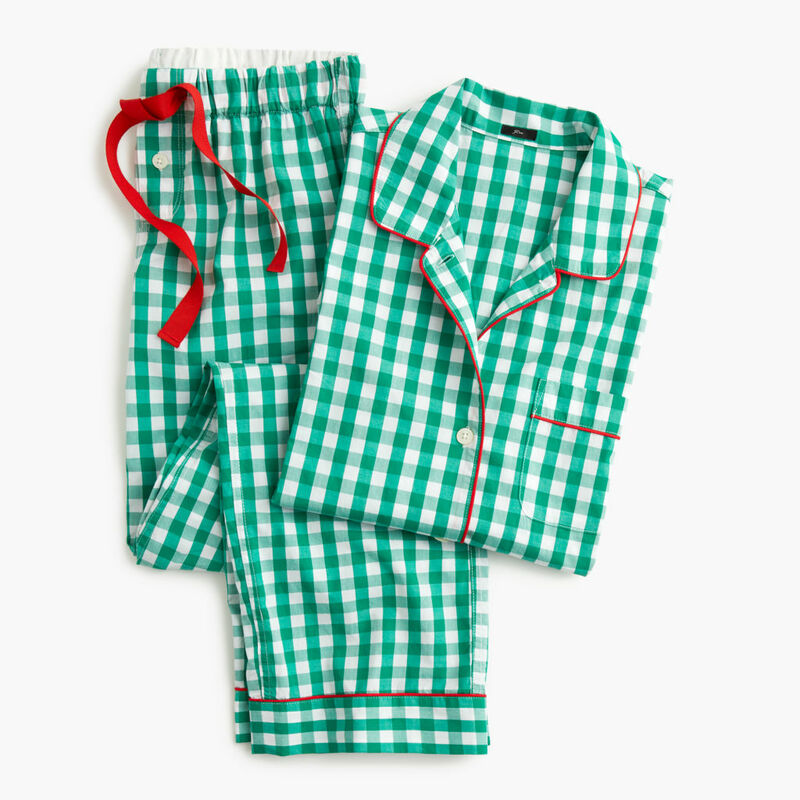 We love these vintage look pajamas from J.crew. They are comfy, homely and classic with the touch of red to add a playful touch. Being 100% cotton, they’re soft on the skin and loose enough to feel like a hug. Go for the oversized look for your girlfriends. The prices range from HKD $400 to HKD $1,000. This coveted fashion piece is the perfect gift for your lady love. Everything from the Fleming handbag collection of Tory Burch is a style for all seasons. 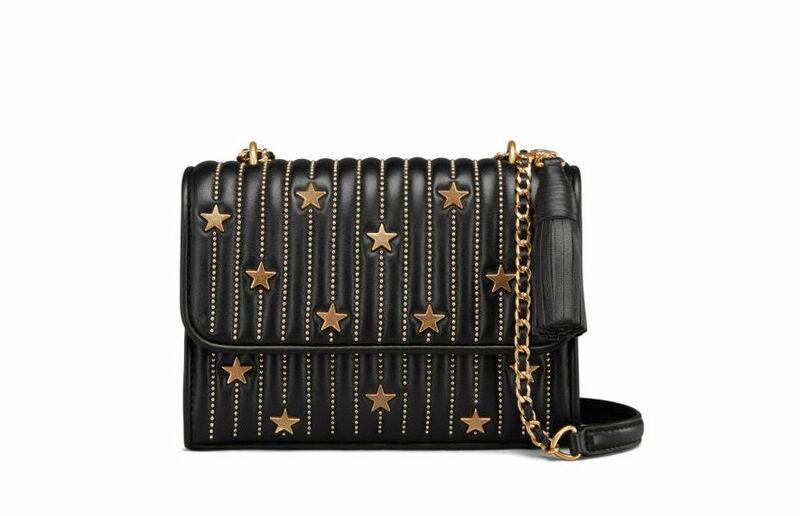 The Tory Burch TB Fleming star stud small convertible shoulder bag in black features a constellation of metallic charms, studs and hand-applied stars, inspired by the season’s celestial theme. It’s finished with a removable tassel and a strap that can be worn short or long. It’s priced at MOP $5,950. What every girl needs on a chic holiday is the Prada Cinema Collection. 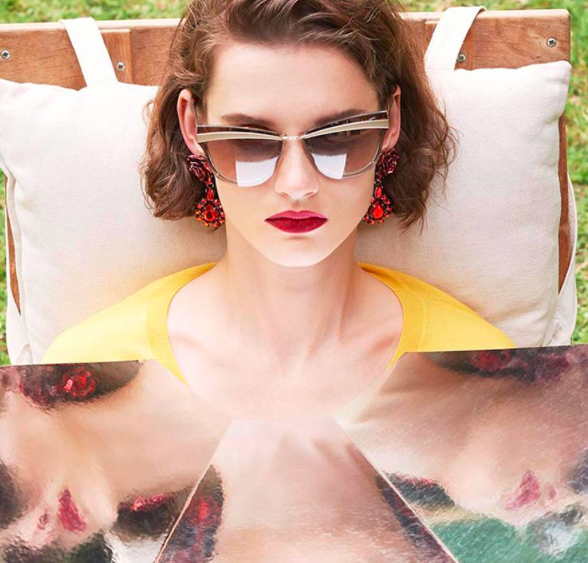 The stylish eyewear will make any girl smile this festive season. Head to T Galleria at DFS conveniently located in various locations around Macau. These fashion pieces reach around MOP $4,000 but they are worth every pataca. The hamper from Mandarin Oriental, Macau is the perfect Christmas gift for all kinds of women. The three luxurious hampers feature a wellness edition that includes a range of products including relaxing CD and a de-stressing coloring book while the #ImAFan hamper contains a silk fan, chopsticks, a mug and more. Lastly, the Cochine Home Assortment Hamper presents fragrances, lotions, and a bamboo reed diffuser. All three gifts are lovingly decorated in festive packaging, with plenty of white gold and silvery hues – one of these hampers is sure to be an extra special Christmas gift. The prices range from MOP $1,235 to MOP $1,645. These fabulous candles are an ideal gift for the lady who likes creativity in her life. 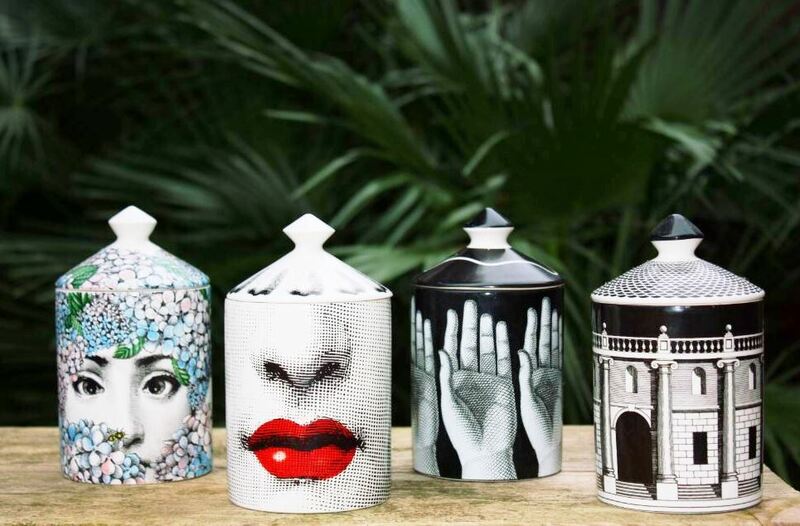 A mix of contemporary and classic, the Fornasetti brand uses true renditions of original artwork created by the early 19th-century artist and sculpture Piero Fornasetti on its products. Each object is handcrafted and each object is a unique creation, meaning its a truly unique gift this Christmas. They have so many unique variations and they are charming centerpieces that are a truly unique and edgy homeware. 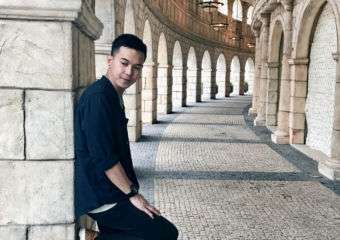 The price ranges from HKD $1,500 to HKD $2,500.